Siliguri: Siliguri's auto owners and drivers have launched protests against an order that requires them to go through fresh emission checks only at the transport department's testing centre in the city. Around 1,250 autos run in the city, serving as its transport lifeline. "Most of these autos have become old and are compliant with BS I or BS II standards on (emission). But right now, the state has moved into BS-IV standards and machines used in pollution have also changed. That is why it was decided by authorities of the transport department to check the air pollution level of these vehicles," said a source in the administration. The source also revealed that there were reports that a section of these autos get certificates which show that their pollution levels are under control from private testing centres. "The PUC certificate is necessary to renew the certificate of fitness. As such reports reached the administration, it was decided that all these autos should be checked at the testing centre in Paribahan Nagar," added the source. As some of the autos went for tests, it was found that the pollution caused bythe smoke of these vehicles is above the stipulated BS-IV standards. "It is not that we have started imposing fines on these vehicles or have stopped running. But the fact that some of these vehicles are causing pollution above the stipulated levels, has been proved," said an official. The test results have led to protests by the owners and drivers. On Monday, they took out a rally under the banner of Siliguri City Auto Operators' Welfare Society, protesting the administration's move. "We apprehend that the state is planning to stop running these autos by declaring the vehicles unfit. The administration and the transport department should come out with rules mentioning whether we can run our vehicles. If we are told about pollution issues, we could have carried out necessary repairs to ensure that our vehicles meet the standards," said Nirmal Sarkar, general secretary of the society. Such move by the administration has evoked a mixed reaction among residents living in and around the city. While a section of them want the autos to be immediately replaced by newer ones to check air pollution, another section feel the state should not act in haste. 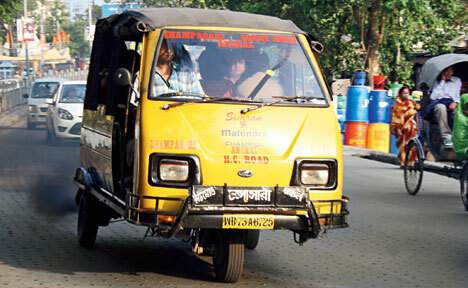 "In Siliguri and surroundings, city autos are the principal mode of communication in local routes. If these are suddenly stopped from plying, it would cause huge inconvenience for people. The administration, in consultation with the owners, should explore alternatives, bring such vehicles here and then replace the city autos," said Sarat Roy, a schoolteacher. Officials said they would soon hold talks with the auto owners. "The autos have to be replaced in phases and the state might extend some assistance to these people. But the fact remains that no vehicle can move along the road without meeting the standard levels of pollution. We are in touch with them and hope the issue would be resolved," said a senior official. Siliguri's auto owners and drivers have launched protests against an order that requires them to go through fresh emission checks only at the transport department's testing centre in the city.